When we say addiction, many think alcohol and drugs, but they are only partially on point. You can also be addicted to gambling, painkillers, and even shopping! If you recognize that you have one of these addictions, there is no shame in looking for help from a professional. The Dell Center for Therapy in Park City, Utah, has been helping clients in Salt Lake, Summit and Wasatch County deal with all sorts of issues, including eating disorders, mental and relationship issues. 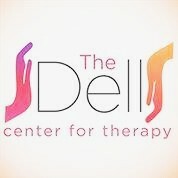 Our team of therapists is led by Jessica Dell, a licensed clinical social worker. The experience shows us that sometimes you can’t put your life under control on your own. In most cases, you just need a little push from a professional counselor,and that is what our therapists can provide!